Opale is an emotive garment which can recognize and respond to the facial expressions of people around. This project is funded by the USC Bridge Art + Science Alliance Research Grant program. We tend to respond to people around us through our unconscious facial expressions and bodily movements. When surrounded by smiling people, we often smile back. And when threatened, we often take on a defensive stance. Animals do the same. Dogs, cats and mice bristle their fur as a defensive mechanism or as a form of intimidation. So why can’t we develop clothing that can do the same? For example, how might clothing sense aggression, and go into defensive mode accordingly? Opale is a custom-made fashion item, integrating soft robotics and facial tracking technology, which responds to the expressions of onlookers’ faces. 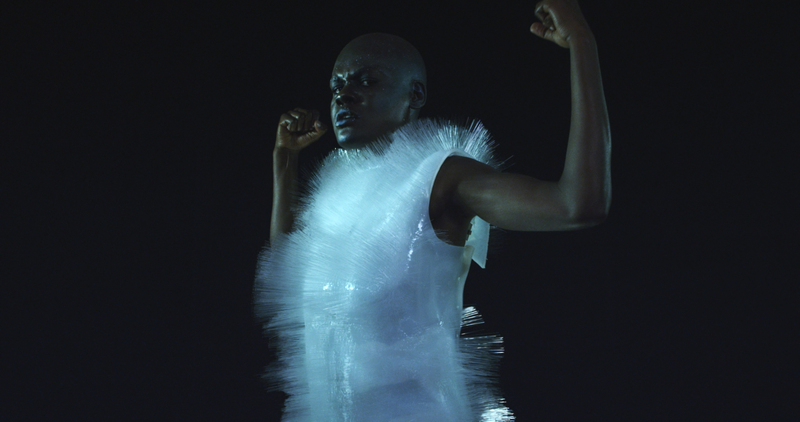 Inspired by animal fur, the outfit is composed of a forest of fiber optics embedded in silicon whose fur bristles when under threat, or which purr when stroked. It is equipped with a camera that can detect a range of facial expressions: happiness, sadness, surprise, anger and neutral. It also incorporates an interactive pneumatic system that can respond accordingly. For example, Opale can respond to ‘anger’ by agitated movements, or to ‘surprise’ by bristling, in order to influence social interaction. How might clothing sense aggression, and go into defensive mode accordingly? This project is an attempt to explore the technical possibilities of computer vision and dynamic actuation in order to address psycho-social questions of emotion, privacy and transparency. It is part of an ongoing research initiative into the relationship between emotional expressions and social interactions. It builds upon the capacity of computer vision to recognize different facial expressions that has already been explored by others, but crucially integrates this system into interactive clothing. Opale is a highly innovative initiative which could open up new opportunities for the worlds of design, fashion and technology. The material development of the Opale project with its forest of fiber optics was based on a study of human "body architecture". Data captured from an analysis of surface curvature of the human body and the underlying contours of the muscles informed the location, density and height of each fiber. The intention was to exaggerate the movement of underlying muscles by having denser and longer fibers following the contours of the muscles. 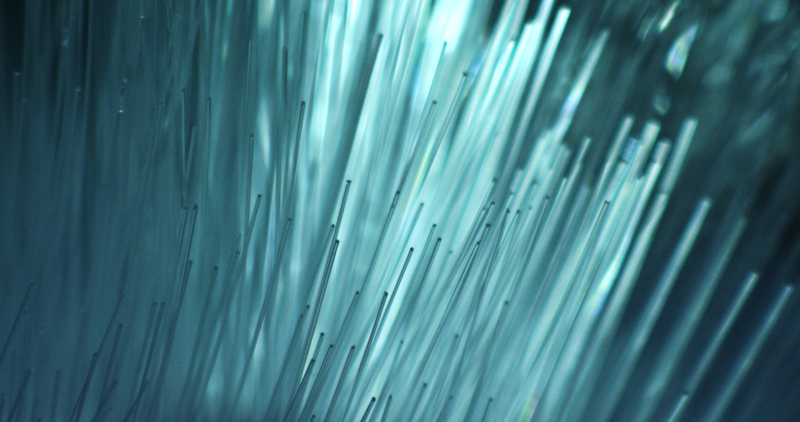 Opale consists of 52000 fibers embedded in a silicon base. Forest of fibre optics with pneumatic inflatable sections embedded underneath that respond to the onlooker's facial emotional responses. The research is part of a broader ongoing collaboration into soft robotics between Behnaz Farahi and Paolo Salvagione, who developed compact mechanical and electrical systems deployed in this dress. The electrical circuit controls six low power electrical solenoids fitted with miniature CO2 capsules, capable of inflating pockets within the dress. Together with Julian Ceipek they wrote an algorithm to relay data from the camera to a micro controller in order to control the solenoids. Nicolas Cambier directed the video of Opale seen through the lens of another person’s clothing camera. While we cannot see the other person we can see the emotional responses detected in the main character.